March 14, 2019 (Nashville, Tennessee) – “Waterfall,” a new single from Horizon Music, the worship team at Horizon Community Church, is being released today to Christian AC and CHR-formatted radio outlets. The new song is from the album titled “Victory,” which has been released by Maranatha/Capitol Records. A lyric video for “Waterfall” is available at YouTube. Horizon Music, based at the multi-campus church southwest of Portland, Oregon, is comprised of Tiffany Ordóñez, Candice Russell, Elliott Otteson, Stephanie Campbell and Aaron Russell. Candice Russell co-wrote “Waterfall” with Dave Lubben, who also served as co-producer with Aaron Russell. 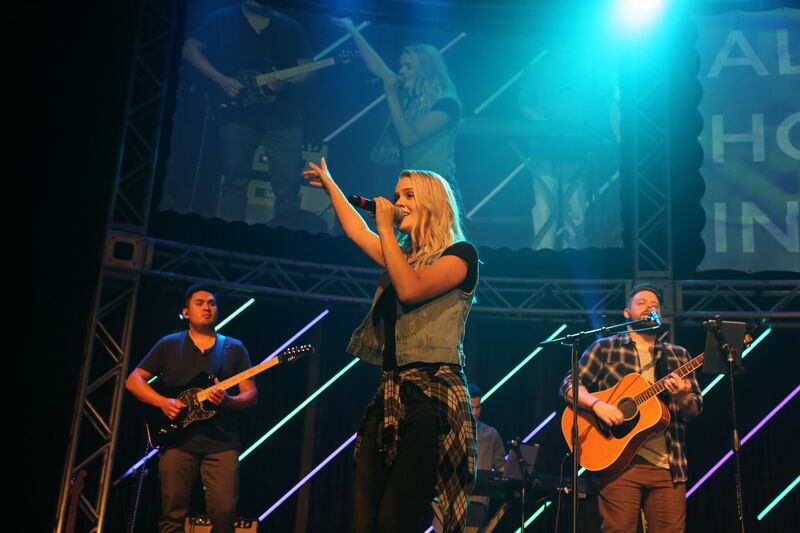 The worship band started with the idea of creating current sounding music for a young generation of music listeners, with the goal that the worship music would be done so well and with mainstream pop sounds that the music would be interesting to those who may not have been willing to listen before. For more information about Horizon Music, visit horizoncommunity.church/horizonmusic, like on Facebook or Instagram.